"Peak Oil" and "Global Warming" are often discussed together as two of the most difficult energy challenges that our society faces over the coming decades. Both challenges have the potential to lead us to catastrophic societal outcomes if we fail to address them properly. The "worst case scenario" for each challenge reads like an apocalyptic movie plot - for peak oil, we could see resource wars, economic collapse and worldwide starvation; for global warming, there could be "climate wars", harsher storms, desertification, and sea level rise. Both have the potential to kill millions of the poorest people who are currently living on the margins of our global society. As we enter a post-peak oil world, we will begin to switch to alternative energy sources to compensate for the shortfall in oil production from the aggregate depletion of worldwide conventional oil fields. The forms of alternative energy we use will be largely dependent on whether or not we place restrictions on carbon dioxide emissions. Peak Oil means we'll either emit far less CO2 or far more - it all depends on whether we tax it. Water injection, gas injection, hydraulic fracturing, pumpjacks, etc. The problem is, as you can see above, each source of alternative liquid fuels has a higher carbon intensity than our current conventional oil production does. Meaning that not only will our worldwide carbon emissions increase as the world's energy demands increase, but they will increase at an increasing rate as we move to more carbon-intensive alternatives. If the government does place restrictions on carbon dioxide emissions, our energy investments will look completely different. Oil from tar sands, coal-to-liquids, natural-gas-to-liquids will become even more expensive than they currently are - rendering them less competitive against renewable liquid fuel alternatives such as biofuels. Biofuels, however, are themselves quite energy intensive - requiring natural-gas-based fertilizers and pesticides, diesel-fueled tractors and trucks and high-energy bio-refineries to convert crops into fuel. Biofuels are also limited in scale - if we wanted to get all of our current US fuel demand from biofuels, we'd have to stop eating food and devote every single acre of cropland in America to biofuel production. In a high-carbon-price environment, therefore, cellulosic ethanol may offer the greatest hope for renewable liquid fuels. Cellulosic ethanol wouldn't compete with our food supply and is far less carbon-intense than gasoline derived from traditional oil. It is, however, still a long way off from commercialization. Wind and solar power are not direct substitutes for oil as they provide electricity, not liquid transportation fuel. In a high-carbon-price environment, peak oil and carbon taxes would combine to greatly increase the price of traditional gasoline. Carbon taxes would also make electricity more expensive in the US, since we get most of our power from coal. With carbon taxes, however, these coal power plants would not need to compete as vigorously with coal liquefaction and the price of electricity would likely not increase as much as the price of gasoline. Carbon taxes may make unconventional oil (such as oil derived from tar sands) so expensive that transportation methods would begin to shift from fossil-fuel-based modes to electrified modes. Freight transportation would shift from truck to train - possibly with more electrified rail. Personal transportation would shift from traditional automobiles and SUVs to plug-in-hybrids and electric cars. Air travel would become dramatically more expensive - increasing the incentive to build more high-speed rail in the US. Coal power plants would pass on the cost of the carbon tax to their customers and natural gas power plants would become more cost competitive against coal since natural gas releases about half the CO2 per megawatt hour that coal does. Carbon sequestration at coal power plants may slow this shift away from coal. More wind power would come online as these projects become more cost competitive against natural gas, but more natural gas plants would likely need to be built to provide the necessary increase in base load capacity to offset the wind power's intermittency and lack of dispatchability. Depending on the price of carbon, nuclear power may replace these natural gas plants for increased base-load capacity. More pumped water storage would be needed as more wind power comes online - to help smooth out intermittency. The path we follow (traditional transportation infrastructure w/ carbon-intensive unconventional oil vs. electrification of transportation w/ renewable energy) will largely depend on the societal and political choices made by a number of disparate groups. Our society could begin to demand less carbon-intensive forms of energy. On an individual basis, we can choose to go down this path by buying carbon credits, paying a premium to our utilities for renewable energy and switching our personal modes of transportation to those which emit less carbon - such as hybrids, electric vehicles and mass transportation. This "bottom-up" change is already happening, with early-adopters buying hybrids and electric cars and installing solar panels on their houses. But it is a slow and economically inefficient way to move the world towards a less carbon-intensive and peak-oil-proof world. Due to the complex and uncertain nature of peak oil and global warming, it may take a very long time before mainstream society "gets it" and begins taking personal steps in this direction. Also, due to the economic pain of taking these steps, this "tipping point" of societal opinions and behaviors may not occur until well after the negative consequences of peak oil and/or global warming are upon us. One interesting "bottom-up" approach is General Electric's announced intention to purchase 25,00 electric vehicles by 2015. As the world's second largest manufacturer of wind turbines, GE certainly has some skin in the game when it comes to the imposition of a carbon tax, and the announcement is likely designed to help encourage further adoption of these electric cars, moving the electrification of personal transportation further into mainstream society. At the same time, GE's CEO Jeff Immelt has been actively lobbying in Washington for a carbon cap-and-trade scheme. If more companies take steps like these, it may sway public opinion enough for politicians to implement climate change legislation. A government-imposed carbon tax would quickly move us in the direction of sustainable transportation, but such a tax can only happen with the political will of the majority of Americans behind it. 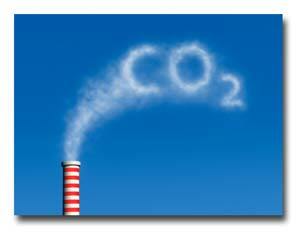 In the current political environment it seems impossible that a carbon tax could be implemented. A carbon tax would have the net effect of immediately raising fossil fuel prices. When even the FED chairman admits that we're teetering on the edge of a double-dip recession, saying "We’re not very far from the level where the economy is not self-sustaining", all politicians are wary of implementing measures which would put additional burdens on the economy. In a post-peak-oil environment (which, according to the International Energy Agency's 2010 World Energy Outlook, we entered in 2006), a carbon tax may be even more politically impossible. As American citizens have to live with higher and higher oil prices, and in the absence of any catastrophic events linked with global warming, they may demand that the government not impose any carbon taxation. We've seen this before during the 2008 presidential campaign with people shouting "drill, baby, drill" as the price of oil skyrocketed to all-time highs. As political polls show, the immediate economic concerns of the average voter always trump their long-term environmental concerns - particularly during a recession or when gas prices are high and rising. So while the solutions to both problems overlap in the realm of renewable energy (wind, solar, biofuels, etc. ), the movement towards these alternatives will only happen with a tax on carbon. In the absence of a tax, we will transition to more carbon-intensive oil alternatives as we enter a post-peak-oil world. As an investor, you should be setting yourself up to profit from this transition. The largest international oil companies (IOCs) will win in either case - since they're all currently investing in unconventional oil as well as renewable energy alternatives. For example, Exxon (XOM) is investing in algae-based biofuels, Shell (RDS) is investing in tar sands and gas-to-liquids, and Chevron (CVX) is investing in geothermal energy. In order for the IOCs to pursue more deepwater offshore drilling, enhanced oil recovery, gas-to-liquids and other unconventional oil plays, they will require the assistance of oil equipment and supply companies such as Schlumberger (SLB) and Halliburton (HAL). The best way to invest in this sector of companies, as I recommended in the Peak Oil Proof Portfolio, is to diversify your holdings through an ETF, such as VDE. I also recommend in the portfolio that you hold coal (KOL) and a renewable energy ETF (PBD). In a post-peak-oil world without any carbon taxation, the price of coal will increase significantly. With a carbon tax, renewable energy companies will grow significantly. Either way, as an investor, you will come out ahead.